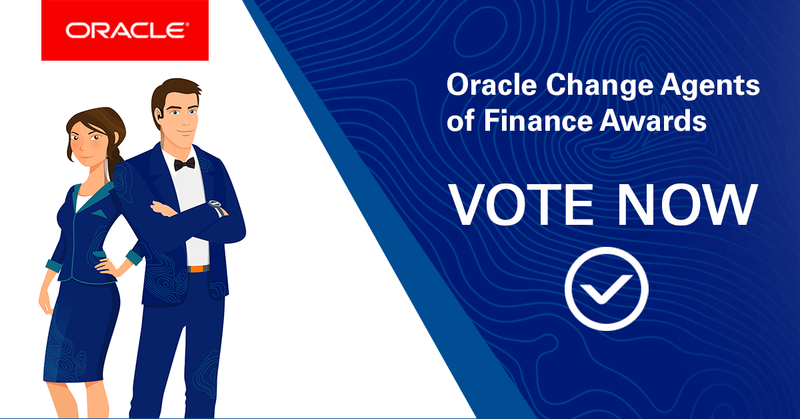 The voting for the 2019 Oracle Change Agents of Finance Awards is now open. Review the award finalists and vote for your favorite finance heroes by February 20th. Award winners will be notified in February and will receive a complimentary pass to attend Modern Business Experience, presented by Oracle, March 19-21, 2019 in Las Vegas where they will be recognized in a special award ceremony.